The members of the DMT team perceive visitor experience as multidimensional. Our know-how shows that an exhibition with outstanding hands-on and minds-on exhibits is a great base for visitor experience. But a well-engineered high-tech exhibits isn’t useful, if usability hasn’t been integrated from the beginning of the development process. It is necessary to identify target groups and their needs in order to design an exhibition, which stimulates the visitors, where they are comfortable and get involved. The resulting positive word-of-mouth advertising and the positive viral effects lead to a higher recurring visitor group. The xCocos (eXhibition Control and Configuration System) server is used for controlling, maintaining and data saving for cross-linked exhibitions with distributed interactive exhibits. xCocos shows how many and which exhibits are active in the exhibition. 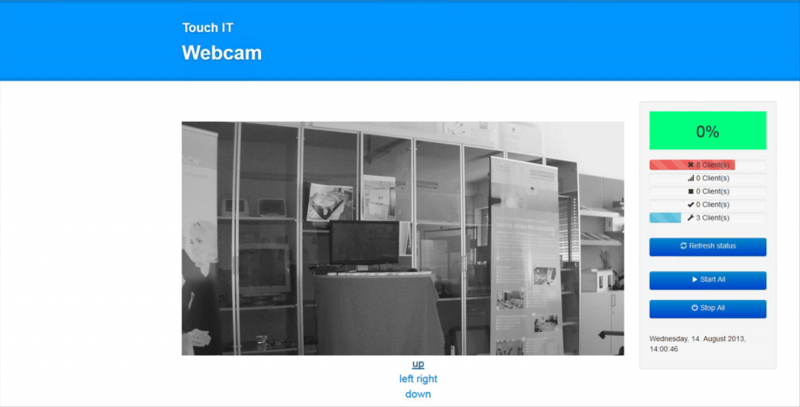 All exhibits can be remote controlled with TeamViewer or VNC and operated. For example, the server starts up and shuts down the stations. All stations can be fully automated be started and stopped at a certain time. It is possible to choose different times for every weekday. For examples it is possible to configure that the exhibition won’t start up when the museum is closed. Several statistics provide information about changes of state, actions and other events. Also IP cams can be controlled with xCocos. Our Watchdog controls and monitors a single exhibit of an exhibition. It reports the xCocos Server and accepts commands from the server. All programs, which are necessary for the exhibit, are started up by Watchdog, at the same time it opens a connection, so that the xCocos server is able to request the station’s state. Commands like start, reboot or shutdown can be sent from xCocos and will be received and executed by Watchdog. If an application crashes, Watchog will automatically restart it. It is possible to show a special application after the xCocos has sent the shutdown command. This can be used to say goodbye to the visitors. 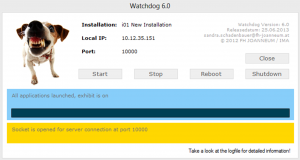 Watchdog can also be used standalone, without the xCocos Server. It is also possible to configure different shutdown times for every weekday.